chocolate - BrainstormOverload - Small design studio. Big ideas. 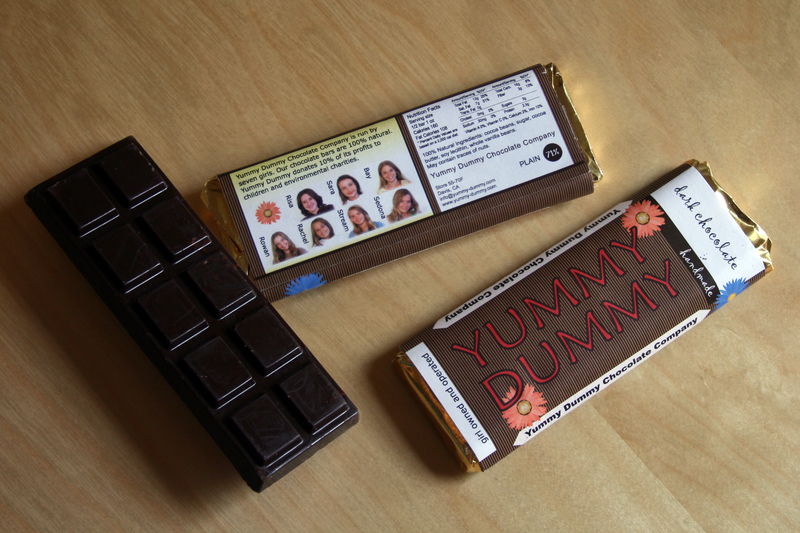 It’s been awhile since we’ve conducted a dark chocolate taste and packaging review. You know you’re busy if you fall off that bandwagon! 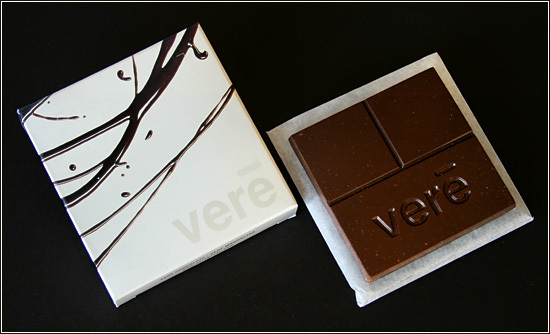 We’ve resolved to pick up the habit again for 2012 starting with the limited edition Silvestre bar by the Upper Midwest’s own Rouge Chocolatier. We’re hoping it is as tasty as the lovely Sambirano and Hispaniola bars we sent to clients over the recent holiday season. Bloomsberry and Co. chocolate only comes in two varieties; Milk (for beginners) and Dark (which at 55% cocoa content isn’t particularly advanced). This means it will probably not satisfy those who generally consider dark to mean over 70%. Neither are there hints of fruit or citrus or bark if you are seeking subtleties. The chocolate is smooth and tastes a lot like chocolate chips. There’s no bitter after-taste, it’s very easy to eat and reminds me a bit of brownies actually. This can’t really be considered a sophisticated chocolate flavor but is perfect for kids and helping friends make the sea change from the bay of milk to the wide ocean of dark chocolate bliss. The bar itself is also a nice simple design. I found myself breaking it into smaller chunks than indicated. Bloomsberry clearly recognizes that design is an important part of the experience. In fact there is significantly more variety in the packaging than in the chocolate and consumers are encouraged to collect all the designs. 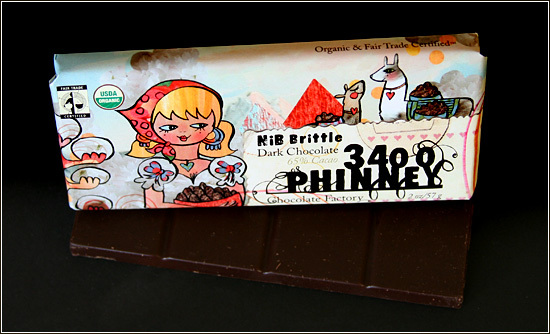 Similar to the chocolate the packaging can better be described as whimsical, fun and spunky than sophisticated. 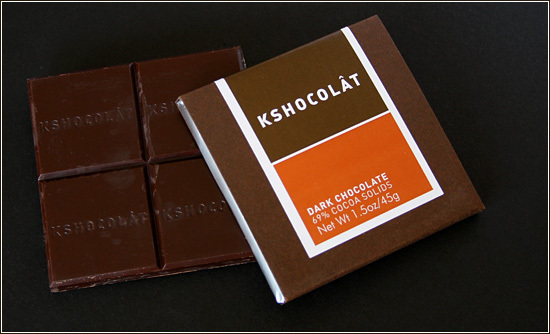 It’s accessibility makes it a good gift for anyone who is not a chocolate snob and is sure to bring a smile. I know because I received this bar as a gift and even though it confirmed what I’ve known all along (that chocolate will not cause weight gain) I had a good chuckle. Actually since laughter burns calories this chocolate is the perfect weight loss strategy. Click on the photo for an enlargement if you want to read the small print. Three different kinds of chocolate (regular, Mexican and Dutch processed), two different kinds of milk with a dash of vanilla and cinnamon. Topped with fresh whipped cream and shavings of Sharffen Berger Asante 65% from the chocolate maker’s series. Of all the stuff that we make at BrainstormOverload the signature studio hot cocoa is possibly my favorite creation. Too bad there’s not an award category for that. Cheers. 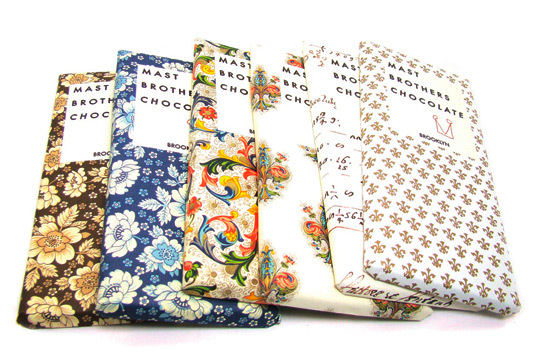 Check out the delicious packaging on these chocolates by Mast Brothers Chocolate courtesy of Lovely Package. If you’ve been searching for a worthy place to spend your allowance this is it boys and girls. This chocolate won’t melt in your mouth because you can’t have any unless you happen to be in Torino, Itally. Lagrange 34 sure has taken the art of the chocolate bar to a wonderful new level though. The glowing color of the packaging radiates the promise of the yummy goodness inside and then you open it up and the design of the chocolate bar itself is even more rewarding. Dare I say it’s like a beautiful sun dress draped over an even more lovely set of legs? Certainly not, this is a family oriented blog after all. On a side note the Lagrange 34 site is the only site I’ve visited that makes the site traffic data visible. Click the “ShinyStat” link on the bottom left and let’s see if the RedBlackBrown community can put a big spike in the traffic for our chocolate loving Italian fratelli e sorelle.